Bittondi Printmakers Association are pleased to present award the winners of the Inaugural Bittondi Awards, which recognise students for their efforts and successes in printmaking. 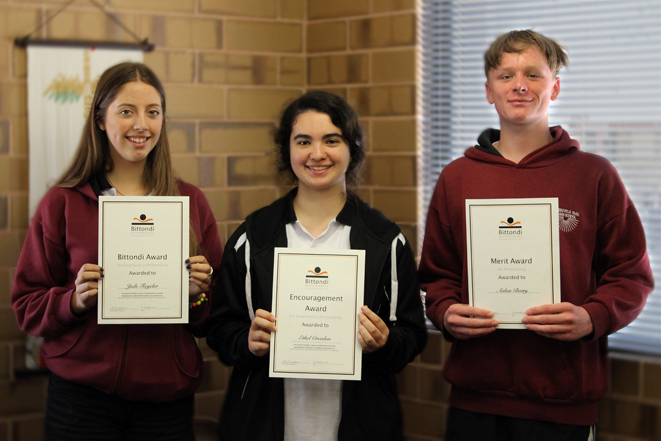 Chairperson Geoff Gibbons and awards organiser Amanda Hassett visited the school last week to present the ‘Bittondi Award’ – for excellence in printmaking, an Encouragement Award and two Merit Awards. The Awards were selected by the committee from a great body of quality works produced by the students, each committee member allocated three votes and an aggregate vote deciding the winners. There were many deserving works, and the winners can be especially proud their work was selected from such a good field, both technically and artistically. 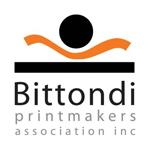 We would like to sincerely thank Aberfoyle Park School or their continued support of Bittondi, and congratulate all printmaking students for their work this year – we look forward to seeing next years work!